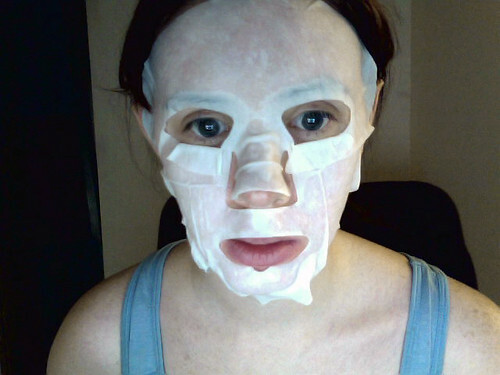 Collagen masks are all the rage right now so I found a super cheap 2 pack to try. 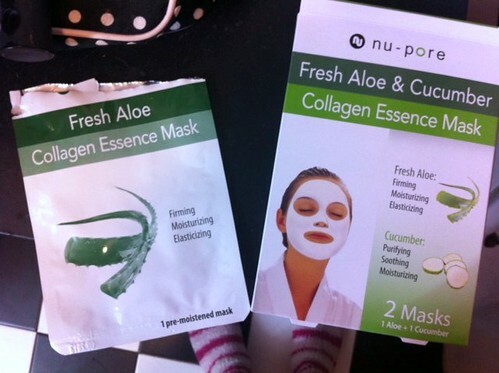 This pack came with 2 masks, 1 aloe and 1 cucumber. They are made by Nu-Pore, you might be able to find them in your local drugstore, but if not… Amazon has them too (I love Amazon). When I got the package I thought the woman looked so relaxed with her perfect fitting white mask, her smooth wet hair, her white robe. Then I realized the mask wasn’t real on her face and it was just digitally put on top. First up wash your face and then put toner on it. All ready to go now! So yeah, either I have a small head or the mask was too big, but there was alot of extra side room for this mask and I had to struggle a bit to get it as straight as possible. Btw, this is the aloe one. 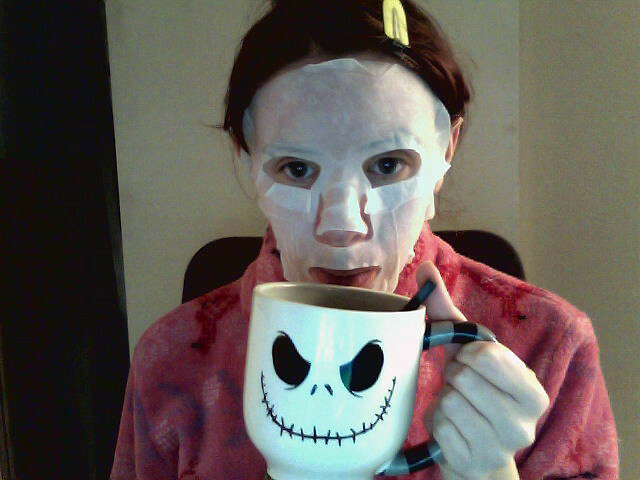 I left the mask on for 25 minutes while I freaked out the cats and Matthew while chasing them around. I also enjoyed some tea. 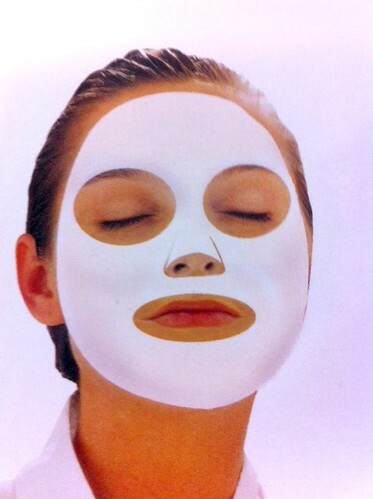 When you take the mask off you rub in the collagen that is left and nothing else – don’t wash your face. At first I couldn’t notice anything different but a few hours later I walked by the mirror and thought “not bad”. Obviously this is just 1 mask so it’s not going to make a huge difference, but I feel softer and my skin appears a bit brighter. I’m hoping I won’t have to change this review after a freak breakout or anything, but definitely worth the price as it stands now.